“Spamilton,” the critically acclaimed off-Broadway parody of Lin-Manuel Miranda’s sensation, “Hamilton,” opens this week with an all-Chicago cast! 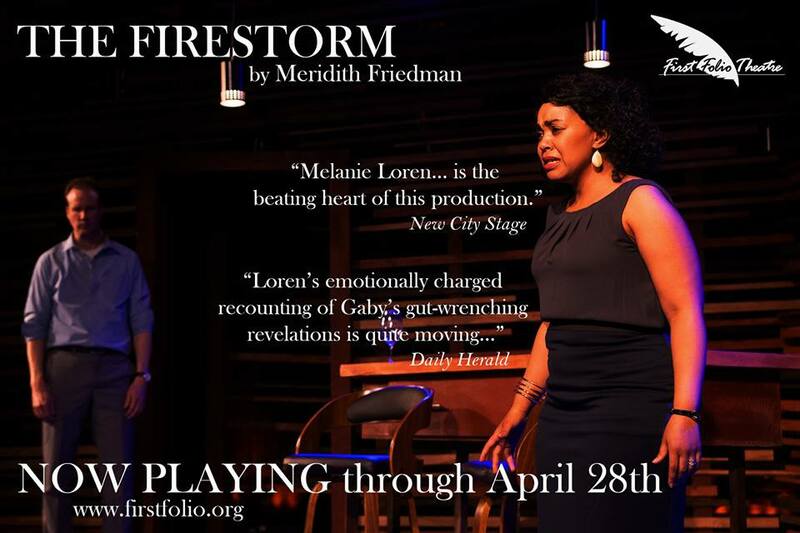 It's currently in previews for the regional premiere in Chicago at the Royal George Theatre (1641 N. Halsted). Created by Tony Award honoree Gerard Alessandrini, the mastermind behind “Forbidden Broadway,” the “smart, silly and compulsively funny show” (The New York Times) features an all-Chicago ensemble including Donterrio Johnson, Adam LaSalle, Michelle Lauto, Eric Andrew Lewis, Yando Lopez and David Robbins. “Spamilton” begins performances Friday, March 3 at the Royal George Theatre’s Cabaret/Studio Theatre. The Press Opening is set for Sunday, March 12 at 7:30 p.m. Tickets ($59 – $99) can be purchased at the Royal George Theatre’s box office online or by calling 312.988.9000. 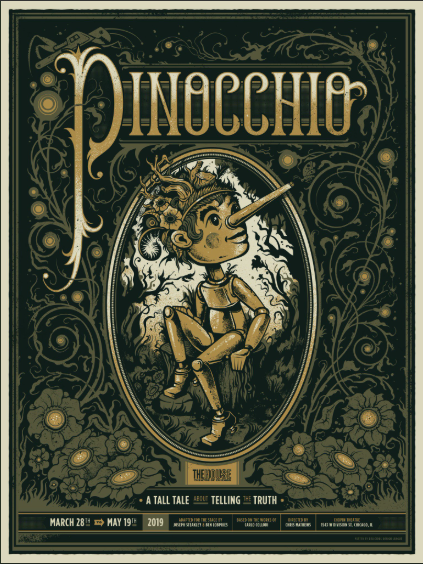 In addition to Alessandrini, the creative team includes Gerry McIntyre (Choreography), Dustin Cross (Costume Design), Fred Barton (Musical Director), and Richard Danley and Fred Barton (Musical Arrangements). 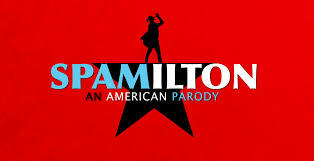 “Spamilton” is produced in Chicago by John Freedson, David Zippel, Gerard Alessandrini, Margaret Cotter and Liberty Theatricals, in association with JAM Theatricals. Chuckie Benson is the understudy for the production. The performance schedule for “Spamilton” is as follows: Tuesdays through Fridays at 7:30 p.m., Saturdays at 5 p.m. and 8 p.m. and Sundays at 2 p.m. and 5 p.m.
Gerard Alessandrini (Creator) is best known for creating and writing all 25 editions of “Forbidden Broadway” in New York, Los Angeles, London and around the world. 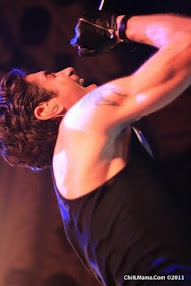 Alessandrini was featured in the original 1982 cast of “Forbidden Broadway” and can be heard on four of the 12 “Forbidden Broadway” cast albums. He also sings on the soundtracks of the Disney classics “Aladdin” and “Pocahontas.” Television credits include writing comedy specials for Bob Hope, Angela Lansbury and Carol Burnett. Directing credits include Maury Yeston’s musical “In the Beginning.” Recent musicals which he co-wrote and/or directed include “Madame X” (NYMF 2011) and “The Nutcracker and I,” featuring a complete Tchaikovsky score with all new lyrics by Alessandrini. As a director, he’s currently working on an upcoming revue focusing on the songs of Maury Yeston entitled “Anything Can Happen (In the Theater).” Alessandrini is the recipient of an Obie Award, two Lucille Lortel Awards, a Lifetime Achievement award from the Drama League, and seven Drama Desk Awards. Alessandrini was also awarded an Honorary Tony Award for Excellence in the Theatre. Adam LaSalle’s (Pianist/King George) Chicago musical direction and piano credits include “24 Words” (Stage 773); “Nunsense” (Beverly Arts Center); “Rebel” (Theatre Wit); and a number of revues, concerts, and cabarets at the Promontory and as a regular at Davenport's Piano Bar and Cabaret in Wicker Park. Some favorite roles he's performed include Jesus in “Godspell,” Tommy Albright in “Brigadoon” and the Pirate King in “Pirates of Penzance.” LaSalle has also accompanied and music directed with Memphis' Playhouse on the Square Musical Theatre Education Program, The Chicago Children's Choir, ChiArts, SummerSing's International Choral Festival in Cork City, Ireland and a number of musicals for the Souza Scholarship Theatre Program in Orange County, New York. Michelle Lauto’s (Female Performer) recent credits include “In the Heights” (Porchlight Music Theatre); “Xanadu” (American Theater Company); “35mm” (Circle Theatre); “The Boy From Oz” (Pride Films and Plays); and “Murder Ballad” (Bailiwick Chicago). Lauto is a proud graduate of The Second City Training Center Conservatory. Eric A. Lewis (Male Three) was last seen in Theatre at the Center's production of "My Way: A Tribute to Frank Sinatra." His Chicago credits include “The Little Mermaid,” “In the Heights” and “Tommy” (Paramount Theatre); “Dreamgirls” (Porchlight Music Theatre); “Once Upon a People” (Black Ensemble Theater); “Parade” (BoHo Theatre); “How to Succeed in Business,” “Sister Act” and “Suessical the Musical” (Marriott Theatre); and “Dreamgirls” (Milwaukee Repertory Theater). Yando Lopez (Male One) was last seen in “The Christians” at Steppenwolf Theatre Company. Recent credits include “In the Heights” and “Sondheim on Sondheim” (Porchlight Music Theatre); “Little Shop of Horrors” (American Blues Theatre); “In the Heights” (Paramount Theatre); and “Barney the Elf” (Other Theatre Company). Lopez has also worked with Court Theatre, Chicago Children’s Theatre, Emerald City, Brown Paper Box, Black Ensemble Theatre and Goodman Theatre. Lopez is a proud Northwestern alum.